Matteo Alacrán was not born; he was harvested. His DNA came from El Patrón, lord of a country called Opium -- a strip of poppy fields lying between the United States and what was once called Mexico. Matt's first cell split and divided inside a petri dish. Then he was placed in the womb of a cow, where he continued the miraculous journey from embryo to fetus to baby. He is a boy now, but most consider him a monster -- except for El Patrón. El Patrón loves Matt as he loves himself, because Matt is himself. Matt is a clone of El Patrón, a powerful drug lord of the land of Opium, which is located between the United States and Mexico. For six years, he has lived in a tiny cottage in the poppy fields with Celia, a kind and deeply religious servant woman who is charged with his care and safety. He knows little about his existence until he is discovered by a group of children playing in the fields and wonders why he isn't like them. Though Matt has been spared the fate of most clones, who have their intelligence destroyed at birth, the evil inhabitants of El Patrón's empire consider him a "beast" and an "eejit." When El Patrón dies at the age of 146, fourteen-year-old Matt escapes Opium with the help of Celia and Tam Lin, his devoted bodyguard who wants to right his own wrongs. After a near misadventure in his escape, Matt makes his way back home and begins to rid the country of its evils. Ask students to write down their definition of science fiction. Then have them discuss the meaning of cloning. Have them debate whether a novel about cloning is by their definition considered science fiction. Matteo Alacrán is the clone of El Patrón, the lord of the country called Opium, and lives in isolation until children playing in the poppy fields discover him. Why is he so eager to talk to the children, after he is warned against it? Why is Mariá especially attracted to Matt? Describe Matt's relationship with Celia. Why is she the servant chosen to care for Matt? Celia snaps at Matt when he calls her mama. Then she says to him, "I love you more than anything in the world. Never forget that. But you were only loaned to me, mi vida." Why doesn't she explain the term loaned to Matt? Celia really believes that she is protecting Matt by keeping him locked in her cottage and ignorant about his identity. Debate whether this type of protection is indeed dangerous for him. How does Celia continue to protect Matt throughout his life on the Alacrán Estate? After the children discover Matt, he is taken from Celia and imprisoned in a stall for six months with only straw for a bed. How might prison be considered a metaphor for his entire life? Who is the warden of his prison? Discuss the role of Mariá, Celia, and Tam Lin in helping him escape his prison. Rosá describes El Patrón as a bandit. How has El Patrón stolen the lives of all those living on his estate? Which characters are his partners in evil? Debate whether they support him for the sake of their own survival. Explain what Tam Lin is trying to tell Matt when he says, "If you are kind and decent, you grow into a kind and decent man. If you're like El Patrón...just think about it." Considering that Matt is the clone of El Patrón, debate whether environment influences evil more than genetics. El Patrón celebrates his 143rd birthday with a large party. Though Matt was "harvested," and doesn't really have a birthday, the celebration is for him as well, since he is El Patrón's clone. How does Matt imitate El Patrón's power when he demands a birthday kiss from Mariá? Discuss how El Patrón encourages Matt's uncharacteristic behavior. Why is Mariá so humiliated by Matt's demand? How does Matt feel the crowd's disapproval? El Viejo, El Patrón's grandson and the father of Mr. Alacrán, is a senile old man because he refused the fetal brain implants based on religious and moral grounds. Debate his position. Why does El Patrón consider Mr. Alacrán rude when he mentions El Viejo's religious beliefs? Celia is also a deeply religious person. How is this demonstrated throughout the novel? At what point does Matt realize that Tom is dangerous? He remembers what Tam Lin had told him, "If you didn't know Tom well, you'd think he is an angel bringing you the keys to the pearly gates." How does Tom mislead Mariá? Discuss why Tom takes Matt and Mariá to see the screaming clones. How is this a turning point for Matt and Mariá's friendship? Why does Celia feel that Matt deserves the truth once he has seen the clones? What gives Celia the courage to stand up to El Patrón and refuse to let Matt be used for a heart transplant? What does El Patrón mean when he says to Celia, "We make a fine pair of scorpions, don't we?" Explain why she is insulted by this comment. How does Tam Lin know that Matt's future lies in finding the Convent of Santa Clara? Describe Matt's journey to the convent. What does he discover along the way? Discuss Esperanza's role in helping Matt gain his ultimate freedom -- to live as a human. Discuss the structure of the novel. How does it resemble acts and scenes in a play? Why does the author include the Cast of Characters at the beginning of the novel? Divide the class into five groups, and assign each group a section to write as a one-act play. Take dialogue directly from the book, and use a narrator to relate the story between speakers. Matt finds order in the music of Mozart. Locate music by Mozart to use at the beginning and end of each act. Have students design a family crest for El Patrón's empire. Discuss why this crest may repulse Matt. Create an alternative crest for the Alacrán family after Matt transforms the empire. Read about Cinco de Mayo and draw a parallel between the history of this Mexican holiday and Matt's victory for rights and justice at the end of the novel. Plan a Cinco de Mayo celebration that Matt might have after he breaks down the empire of Opium. Include appropriate food and music. Mariá refers to Saint Francis throughout the novel. As a class, create a picture book about Saint Francis that Mariá might give to Matt. Write an appropriate dedication to Matt. How might the story of Saint Francis offer hope to Matt? Dolly, the first mammal to be successfully cloned from an adult cell, was born on July 5, 1996, at the Roslin Institute in Edinburgh. She died by lethal injection in 2003 at age six. Have students use books or the internet to locate more information about Dolly and then write a brief paper about the significance of her birth to science. Students may wish to read about how scientists are using cloning for medical research today. Have them read opposing viewpoints regarding the issues of human cloning at www.humancloning.org and www.cloninginformation.org. Encourage them to debate the issues in class. How is this becoming a political issue? Ask students who have read The Giver by Lois Lowry to stage a conversation between Matt and Jonas. Have them discuss the community they left, their decision to leave and their method of escape, the ethical and moral issues related to human cloning in Matt's community, and the releasing process in Jonas's community. Have Matt explain to Jonas why he returns to Opium, and what he plans to do to transform the country. 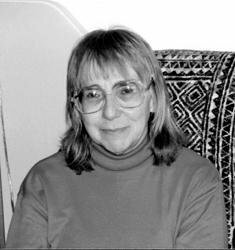 Nancy Farmer is one of the most compelling voices in young adult literature. 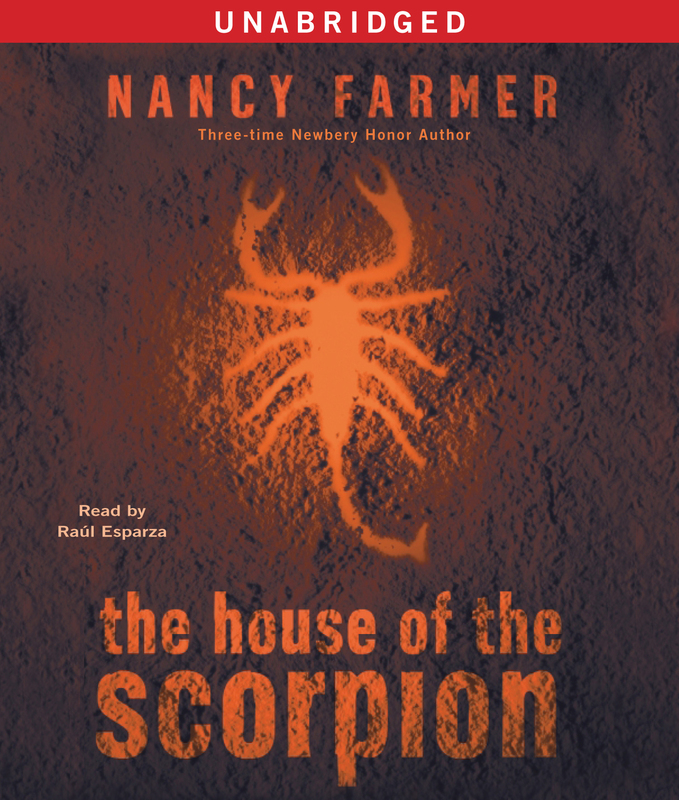 She received Newbery Honor awards for her books The Ear, the Eye, and the Arm; A Girl Named Disaster; and The House of the Scorpion, which also won the National Book Award and received a Printz Honor. Ms. Farmer grew up in Yuma, Arizona, where her parents ran a hotel near an abandoned prison. She spent her early adult life as a scientist, first with the Peace Corps teaching chemistry and biology in southern India; then seventeen more working in Mozambique and Zimbabwe, where she met her husband. Ms. Farmer turned to writing after the birth of her son and has drawn upon her rich background. While she does not call herself a science fiction writer, Ms. Farmer explains, "Science fiction allows you to approach a lot of social issues you can't get to directly. If you wrote a book about how cloning is horrible, it would read like a sermon and no one would pay attention to it." Her latest novel, The Sea of Trolls, was published in fall 2004 and has received an impressive five starred reviews. This reading group guide has been provided by Simon & Schuster Children's Publishing for classroom, library, and reading group use. It may be reproduced in its entirety or excerpted for these purposes. SC Governor's School for Arts and Humanities, Greenville. Raúl Esparza starred on Broadway in The Homecoming, Company (Tony nom., Drama Desk Award, Outer Critics Award), Taboo (Drama Desk Award), Chitty Chitty Bang Bang, and Cabaret. On television he had a recurring role on the ABC series Pushing Daisies. His film credits include Sydney Lumet's FInd Me Guilty.